We Specialize in Free Second Opinions. Our name is who we are. Honesty, superior customer service, excellent quality, craftsmanship, and reliability have been our trademark. Let our 20+ point A/C Inspection & Cleaning twice a year give you comfort. Call Honest Heating and Air for Same Day Emergency Service. For all your heating and cooling needs. 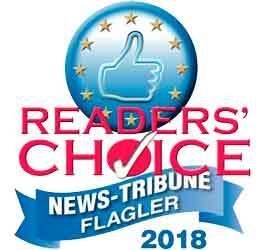 Honest Heating and Air is the 2018 Readers Choice Award. Thank you to all our customers. We are pleased to announce Honest Heating & Air has won the best of Readers choice award! Thank you to all of our loyal customers, Family, and Friends that voted for us! "Honestly" servicing our community and beyond. You all make this possible! From the bottom of our hearts, a HUGE THANK YOU!!! Take your home to a new level of comfort with our highest-efficiency heat pump that gets up to a 19 SEER cooling rating. It features a two-stage scroll compressor and variable-speed fan for quiet electric heating and cooling that operates mostly in quieter, low stage. Use it year round for cooling and heating. Also enjoy the convenience of remote access and the assurance of best levels of performance and comfort management. Energry-smart communicating wall control unit with Wi-Fi® capability. At Honest Heating & Air LLC, it is our mission to ensure comfort for you and your family. We always strive for excellence in service, installation, and reliability. We know that having a comfortable environment is important. That is why we take pride in providing our customers with fast, friendly, honest and reliable air conditioning and heating service. We service all makes and models of heating and cooling units. Our extensive residential and commercial experience of over 43 years has allowed us to identify what is the best heating, air conditioning, and refrigeration solutions that are best suited for your needs. We can provide you and your family with the comfort they deserve by adding an energy-efficient heat pump system that will have value for many years. We install top brands Bryant and Tempstar energy efficient units. Having skilled technicians on the job is just as important as choosing the best equipment. Honest Heating and Air LLC has trained professional technicians that are happy to answer any of your concerns. Our technicians are N.A.T.E. ( North American Technician Of Excellence) certified. NATE certification ensures that a knowledgeable, well-trained and highly experienced technician will service your home heating or cooling system. Thank you for your interest in Honest Heating & Air LLC and we look forward to providing you with the best in comfort for your family and business.